The next big expansion of the popular MMORPG - World of Warcraft - will be released in a month and a half. Let us remind you that its launch date is planned for November 13th. Regarding this, Blizzard studio has published the minimum and recommended Warlords of Draenor system requirements for PC and Mac on the project’s official forum. So, if you plan to purchase the future DLC, such information will be interesting and useful for you. Graphics: NVIDIA GeForce 8800 GT, ATI Radeon HD 4850 or Intel HD Graphics 3000. Graphics: NVIDIA GeForce 9600M GT or ATI Radeon HD 4850. Graphics: NVIDIA GeForce GTX 470, ATI Radeon HD 5870 or better. Graphics: NVIDIA GeForce GT 750M, or ATI Radeon HD 6750M, or better. In general, the common parameters for PC and Mac have stayed the same as the minimum ones, but a few little changes have been made. The memory must be no less than 4GB, and the players will need a multi-button mouse with a scroll wheel. 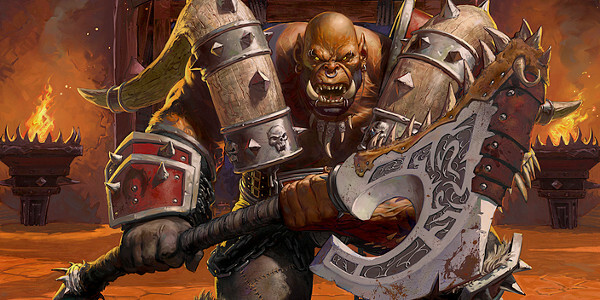 Which Warlords of Draenor system requirements does your computer meet?